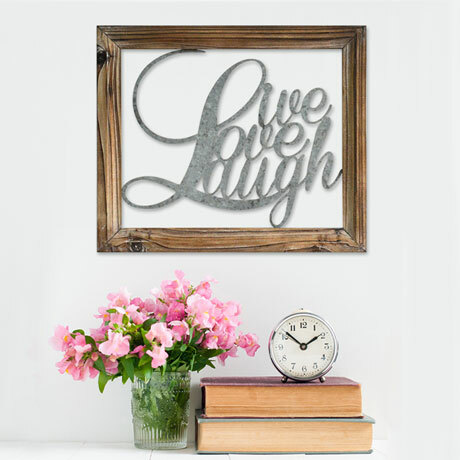 Bring style to your wall space with the gorgeous Live Laugh Love Wall Décor. 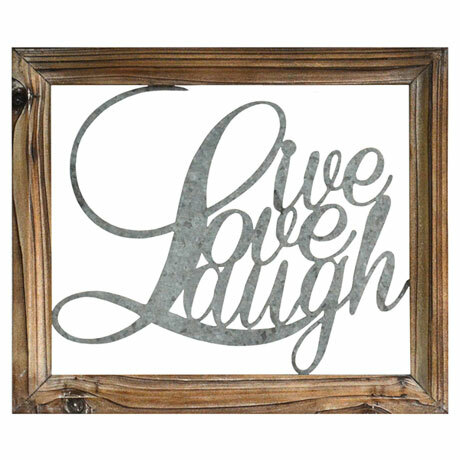 Its unique look with galvanized metal typography and wood frame makes it an eye-catching accent piece for any room. This wall décor is unique. Display it among rustic pieces for a complete look. 17.25" wide x 1.00" deep x 14.5" high. Allow 2 weeks for delivery. No rush delivery or gift box. Item can only be shipped within the Continental US.